Black tea from Yunnan province is generally called Dianhong Tea. Higher quality Yunnan black teas brew to a brassy, golden orange color and have a gentle, sweet aroma and no bitterness. Cheaper varieties become darker and more brownish when brewed and can taste quite bitter if prepared incorrectly. 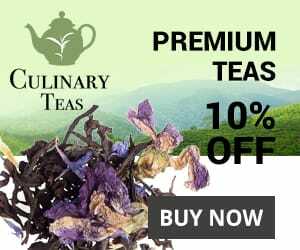 High quality black teas from Yunnan, like Yunnan Pure Gold and Yunnan Gold are generally enjoyed pure, while lower qualities are often included in tea blends. 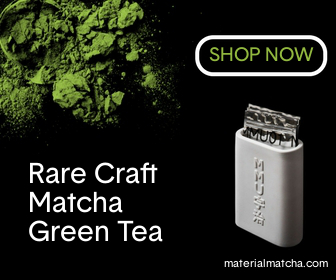 These teas can be found in most specialty tea shops or online vendors. If you are unsure where to begin, you can check out some of my recommendations below. The ideal brewing temperature is 90-100ºC (194-215ºF), which is just below the boiling point. You can simply boil the water using a stove-top kettle and then let it cool for 10 seconds or so. Dianhong tea can be brewed in a variety of vessels, preferably ones made from ceramic or purple clay, like a simple gaiwan or a traditional Chinese yixing teapot. Fill the teapot with 90-100ºC (194-215ºF) water. With Yunnan teas, you want to be careful not to over-brew them, especially cheaper varieties, as they can easily become bitter. Because of that, the amounts and times given in the instructions are somewhat conservative; use them as a rough guide. If you find the resulting tea too weak, add more tea leaves or try increasing the steeping time. Many people already have an account with Amazon.com so it is probably the easiest place to buy tea online. Their best deal is the Organic Chinese Breakfast Tea from Numi. Teavivre is a company that specializes in high-quality teas from China and they have a number of black teas from Yunnan. My favorite is the Golden Tipped Dian Hong, which has a rich, complex, but very smooth and fresh flavor. Others might prefer their Yunnan Black made with leaves from ancient wild trees. This tea is mellow with a strong floral flavor and a sweet aftertaste. It is more expensive than their Golden Tipped tea, which is one reason I prefer that one. It’s a great value. For more on Yunnan Black tea check out the Wikipedia page.